Frozen is very loosely based on Hans Christian Anderson’s The Snow Queen. It’s a tale of two orphaned princesses. Anna the beautiful loving optimist and older sister Elsa struggling to come to terms with her gift. It’s a story of sisterly love. 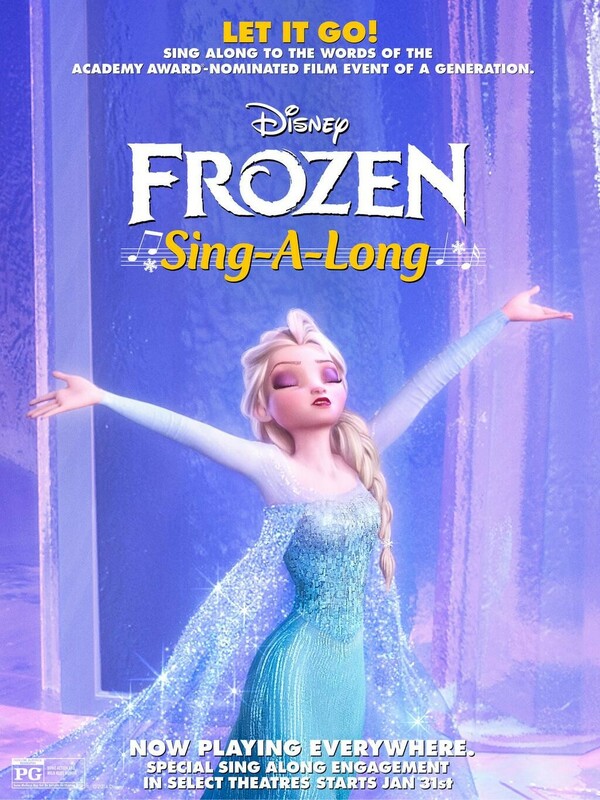 Protective Elsa, convinced she will hurt Anna with her gift flees her Kingdom but not before accidentally triggering an eternal winter, meanwhile feisty Anna supportive of her sister sets off with socially inept ice seller Kristoff, reindeer Sven and brainless snowman Olaf to bring her back, prove her innocence and restore summer. …everyone knew it backwards and forwards you couldn’t help being swept along as the whole theatre roared along with Elsa on the frozen mountain top,lots of kids rushing to the front as it started to snow from the ceiling of the theatre. It all added to the joy of the experience everyone punching the air with cheers and applause at the end, it was just a pure fun moment though I think the real fun was in watching the movie with an army of tiny little Elsas.